New Diggin’ maps – arriving now! 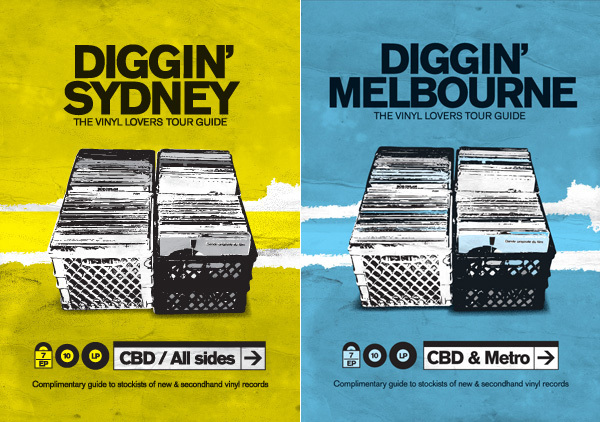 The new Diggin’ Maps for Sydney and Melbourne are in production and due to hit the streets any day now (already available in Sydney). Official launch day for the Sydney and Melbourne maps is Record Store Day, Saturday April 20. Website updates will also coincide with Record Store Day – with a new Sydney site coming this week (www.digginsydney.com), plus a full update to our Melbourne site. Watch this space. Sydney’s new map features 22 stores across the city and inner suburbs; Melbourne presents the biggest listing yet with 53 stores. That’s a lot of records! Copies of the maps are available at all good record stores, and most places that music matters ie. your local bar/cafe. Dig!